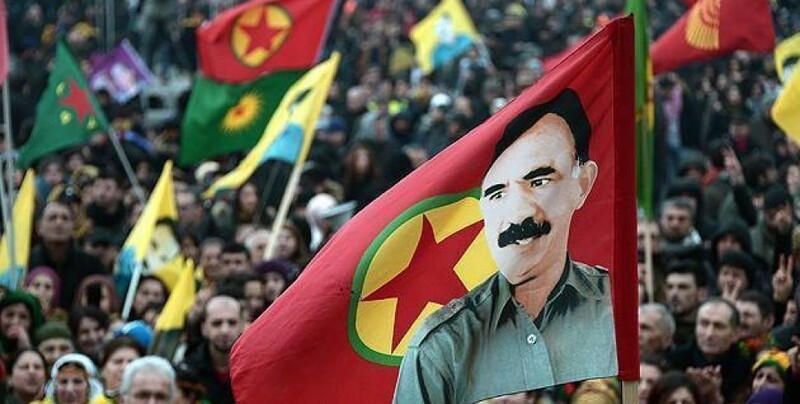 PKK and PAJK prisoners in Turkish prisons are continuing their hunger strike against the isolation of PKK leader Abdullah Öcalan. Prisoners from PKK and PAJK trials in Turkey said they will continue their hunger strike: "We started this hunger strike to enforce conditions under which our Leader can work and live freely, and we will continue until then." On behalf of the prisoners, Deniz Kaya made a written statement about yesterday's meeting of the Kurdish leader Abdullah Öcalan with his brother. "We are leading a liberation campaign in our fight. This campaign is taking place under the slogan "Tear down fascism, break the isolation and free Kurdistan" and growing continuously. We started this hunger strike to enforce conditions under which our Leader can work and live freely, and we will continue to do so until then. We do not consider the 12 January meeting between our Leader and his brother as sufficient, as this meeting does not mean an end to isolation. We as prisoners from PKK and PAJK trials in the prisons of Turkey and Kurdistan are very happy to hear from our Leader, but it should be clear that we are not deceived by the AKP/MHP fascist special war. It should not be forgotten that we lead our resistance with the consciousness of freedom based on the ideological and philosophical path of our Leader. That's why we have or will not let ourselves be fooled. Our determination to go on hunger strike is the practical expression of it. The fascist AKP/MHP dictatorship uses methods of special warfare to suppress and end our resistance. The AKP government is getting more and more in trouble with our ever-growing resistance. Allowing the visit to Imralı on Saturday is a consequence of these problems for the government. If the AKP/MHP government wants to prove that they are not simply using a cheap trick with the visit, then they must not limit the visit to our Leader to his family but must guarantee its continuity and ensure free living and working conditions for him. Otherwise, it must be known that, we will not be deceived by this cheap policy. Yesterday there may have been a meeting of our Leader with his brother, but this meeting took place under conditions of isolation, which means the isolation continues. We PKK and PAJK prisoners continue our hunger strike action uninterruptedly. At the moment, 226 friends are on an indefinite hunger strike. At the same time, an indefinite hunger strike with varying participation takes place in prisons in Turkey and Kurdistan. Leyla Güven, co-chair of the Democratic Society Congress (DTK) and HDP Deputy for the province of Hakkari, has been resolutely on hunger strike since November 8, for 67 days. Millions of people have joined forces around our reality and rose up against isolation. We tell you, your strength is not enough to put millions under isolation. In this sense, we invite all those who advocate democracy, writers, academics and intellectuals to say stop to fascism and resist. We call on all peoples of the world to give voice to the resistance in the prisons. Our resistance will achieve success on the path of victory."